Intense, 9-week training plan specifically designed to prepare athletes for the FBI Hostage Rescue Team selection. The plan includes a 1-week taper, and is designed to be completed the 9 weeks directly prior to your selection course start week. 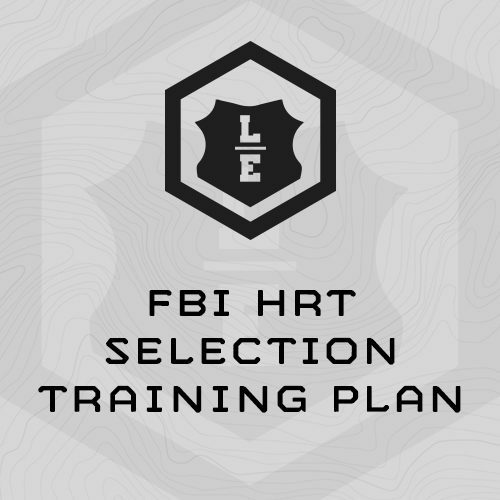 This 6-day/week plan includes several 2-a-day training sessions, and long, weekend “mini-events.” The intensity of this training plan reflects the volume and intensity of the FBI HRT selection course. Mile Run time, Flat Course.